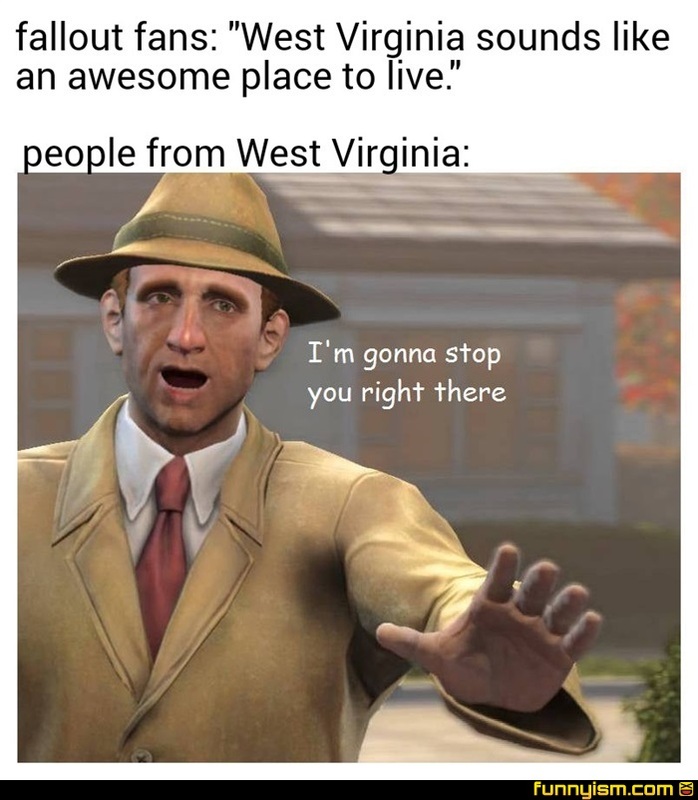 As a West Virginian, I'll tell you the pros and cons living here. Pros: beautiful landscape, really cool history, really nice spring and autumn. Cons: Nothing much to do, poverty, constant flash flooding, bizarre hot summers, freezing cold winters, meth, heroin and other opioid drug problems. @Sam da ram, should I dare visit it for a weekend? @Sam da ram, wait where are the cons? @megamanx181x, Only if you're on a road trip or going to Morgantown to party. @Sam da ram, sounds like Montana. @Sam da ram, So New York without the dïckheads. @ToddHowardsParents, you beat me to it. @Sam da ram, debatable. You can disappear off roading in the virginias. Something that's quite difficult in NY. @RiffRaff, those moonshiners you're thinking about turned into meth cookers. @Sam da ram, moved from the Tampa area in Florida to Moundsville, WV for a few months and then moved right back. What a mistake! @Sam da ram, are the country roads all they’re cracked up to be? @Sam da ram, I used to do armored truck work with stops from White Sulphur Springs and Lewisburg to the Observatory, and I absolutely love the views. Although you're right about all the cons. Now I just drive from Roanoke to my favorite places and get all the pros. John Denver had never been to West Virginia when he wrote country roads and based it on his time in Virginia. Excuse me, but John Denver fans already beat you to the punch... and were turned away.